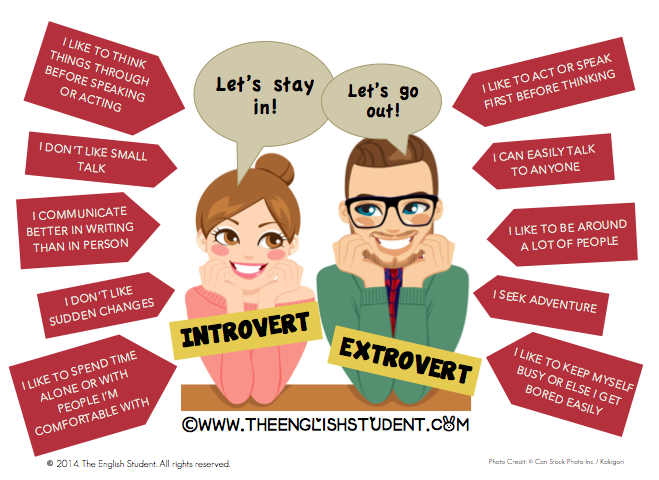 Are introverts and extroverts different? My mother has often worried about the way I seem to enjoy my time. My definition of a good time is at home by myself doing whatever I want with some scrumptious food at my disposal. My mother is a creature from a different universe. She loves the world outside, she adores meeting new people, socialising and playing host whenever she possibly can. I cannot tell you the number of times this personality disparity has made me question the biological basis of our relation, but that is a topic for another time. If it is not obvious to you by now, my mother and I are not exactly on the same spectrum of the personality scale, while she is a shiny, beamy extrovert who gets energised by the external world, I am the warm, silent introvert who passionately clings to quality me-time whenever I possibly can. While you wouldn’t want to get caught on one of our quality mother daughter time, this got me thinking about how deep this difference between extroverts and introverts really is. While many of us just think about personalities as this external façade that is ever changing, studies show us that it is far from that. Hans Eysenck, extraordinary psychologist was first to bring this to every ones attention in a paper published in 1967. Research shows us that personalities are hard wired down to the physiological and chemical level in the brain, not necessarily unchanging, but rather shaped by our experiences in general (If you want to read more on this visit the Dr Colin DeYoung’ lab). For example it has been observed that people who are more extraverted have a bigger medial orbitofrontal cortex which is involved in decision making and expectation (or reward and punishment), as compared to the rest of the population. Another major difference is the way our brains react to neurotransmitters. Turns out each brain type (introverted or extroverted) has its special cocktail to turn on the mojo (with mojo – I mean reward). An extroverted brain relies heavily on Dopamine for stimulation. Dopamine is responsible for reward motivated behaviour as well as increased body temperature, increased heart rate, increased movement; in short Dopamine gives you a rush. On the other hand an introverted brain relies heavily on acetylcholine – a neurotransmitter, known for its more relaxing effects like digestion, lowering blood pressure, lowering heart rate, in short if you love lounging at home with a nice book or a movie series, you are basking in the warmth of acetylcholine. While different neurotransmitters may be responsible for the feeling satisfaction for different individuals it is interesting to note that introverts and extroverts seem to tap into same systems very differently. One such example is the Reticular formation - part of the brain stem also referred to as the primitive brain. The Reticular Formation is involved in vital functions like sleep, pain, fatigue, motivation, alertness and consciousness among others. This region has also been one of the key regions concerning behaviour. In fact antipsychotic drugs seem to have maximum effect in the reticular formation. This region is also being studied in context to introversion and extroversion (Biological Basis of Personality Eysenck, 1967). Turns out that introverted individuals possess an easily stimulated reticular formation, while and extroverted brain has a less stimulated reticular formation. The introverted mind is hence less likely to seek external stimulation, while an extroverted mind is more likely to crave external stimulation. So there we have it, introversion and extroversions are not just external personality but deep rooted traits that have physiological signs, but what about the genetics? One of the more fascinating studies that came up with during my research was by Dr Glen Geher and his team at the New Paltz Neanderthal Project that is looking at the personality traits of Neanderthals. 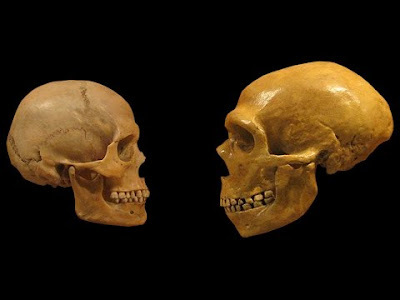 Although Neanderthals are considered a different sub species from Homo Sapiens, they were anything but savages, in fact they were very much like the way we are today (except for the clothes and the tech and a bunch of other things perhaps). Turns out that Neanderthals were quite artistic, had bigger craniums and had more than just meat on the menu. Homo sapiens are social animals- in that I mean we were able to form and exist in large groups extending way beyond our kin. The Neanderthals dint do that, they lived in a small group (extending sometimes to the max of 30 individuals) of kin. We share about 99.7% of our genome with Neanderthal which makes us very close. Dr Geher and his team have worked out a way to find out the personalities of Neanderthal by comparing our DNA with those of the Neanderthal’s DNA. Introversion, less emotionally stable, lower religiosity, not too enthusiastic about fiction, receive less emotional support from others. More extroverted, have a wider social network, emotionally more stable, among others. 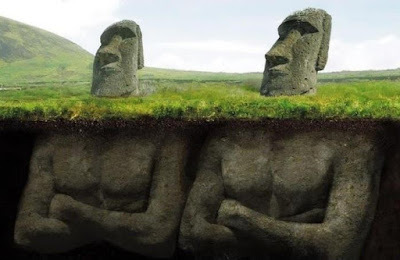 In short, the more you share with Neanderthal the more you are inclined to an introverted personality, while the lesser Neanderthal – the more social and extroverted. esting. The more I dig up on the matter the more I have realised that I have my mother to thank for a lot of my more quieter inclinations, no matter how very different we may be from each other. Do you have the personality of Neanderthals? Why are there more homo sapiens than Neanderthals these days?